Christmas time is nearing! You know what that means: time to visit christmas markets! Don’t know which markets to visit? Don’t worry we’ve got you covered. Here is a list of some of the prettiest and closest christmas markets that are great to visit from the Netherlands. Did you know that Strasbourg was the birth of Christmas celebrations. 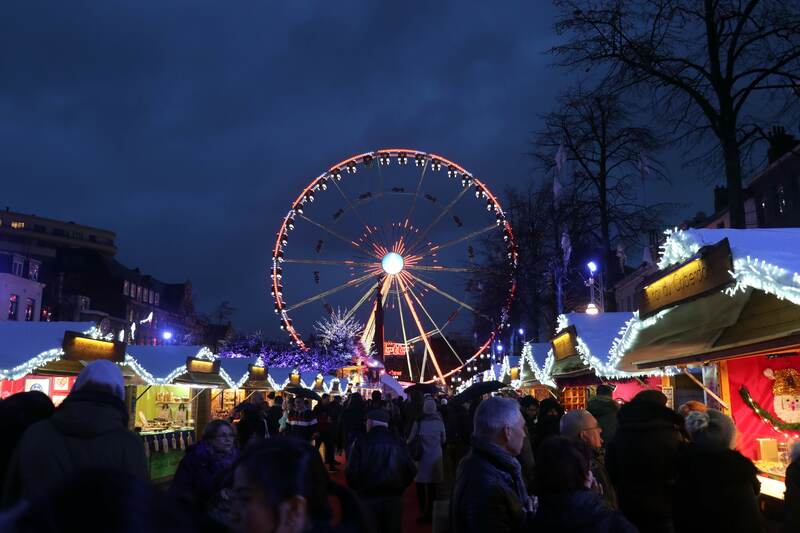 Visiting the Strasbourg christmas markets is like being in a real world fairy tale filled with lights, sparkles and more than 300 stalls. Apart from stalls and the beautiful decorations there are live shows and concerts which make it all the more jolly! This is the place to go if you want to enjoy delicious meals, beautiful decorations and a lovely ambience. Apart from this you can enjoy ice skating with your friends and families. Have you ever had Belgian waffles? No? Well, this is the perfect opportunity to try them! The market being in the town center makes it a lively destination to enjoy your christmas celebrations. Christmas magic can be felt all around the city, with the lively decorations all around the city. Cologne christmas markets get over a million visitors every year! That means it’s must-see! Cologne doesn’t have just one but offers a variety of Christmas markets that the visitors can enjoy. Our personal favourite was the famous Cologne Cathedral, so make sure you go visit too! Colmar is known as the city where Christmas magic can be felt. This is because instead of one market you can enjoy FIVE different markets. Now thats a place we would want to be. It’s time to visit the Annual Scandinavian Christmas Bazaar. Once again like all the other markets, you get the perfect opportunity to find textiles, presents, books with a magical setup around. And just imagine how beautiful it looks when the Christmas lights reflect on the many canals around the city. If you don’t want to travel too far from Rotterdam to experience the Christmas market, this is the place for you. The whole city of Dordrecht embraces the Christmas spirit with live music playing and beautiful stalls to find the perfect Christmas presents. Vienna’s christmas markets are held in front of the famous Palaces such as Schonbrunn and Belvedere. We have not even been there but it sounds so grand already, we are planning our next trip! More than 20 pop up villages and over 150 stalls fill up the markets and make it extremely festive and happy. Go out there and let us know which Christmas markets you visited and which ones you liked the most!